My one big question is, where is all the music written by Margaret Wise Brown? It is mentioned many times in the interview above, but why are none of her verses published which include her music? 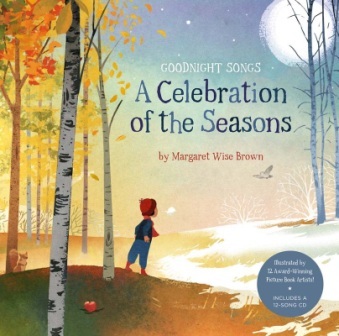 GOODNIGHT SONGS: A CELEBRATION OF THE SEASONS is a gorgeous book. The pictures from the various artists are lush and sweet, dolce and beautiful. The songs on the CD are lovely, too. The singing and musical instrumentation are very well done and the melodies are pretty. I just hope to heaven they’ll make some stand alone books of the verses and match with them music written by Margaret Wise Brown herself.